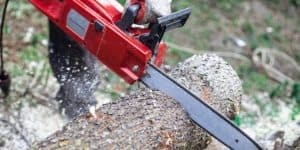 Wondering what is the best place to buy chainsaw in 2018? In today’s day and age, there are countless options out there for consumers when it comes to buying goods. Old-school brick and mortar stores, retail giants, and the rapid rise of e-commerce gives people near unlimited choice when it comes to where they spend their hard-earned dollars. 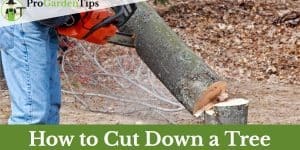 What is The Best Place to Buy a Chainsaw? 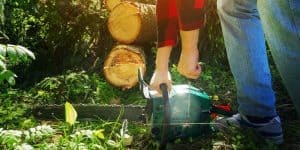 When it comes to buying a chainsaw, it’s no surprise that this wide variety of choice extends to that purchasing decision as well. Should you shop at a trusted retail chain like Home Depot or Wal-Mart and speak to someone who works there for advice before buying? Do you shop at a smaller, family-owned niche hardware store and support local business? 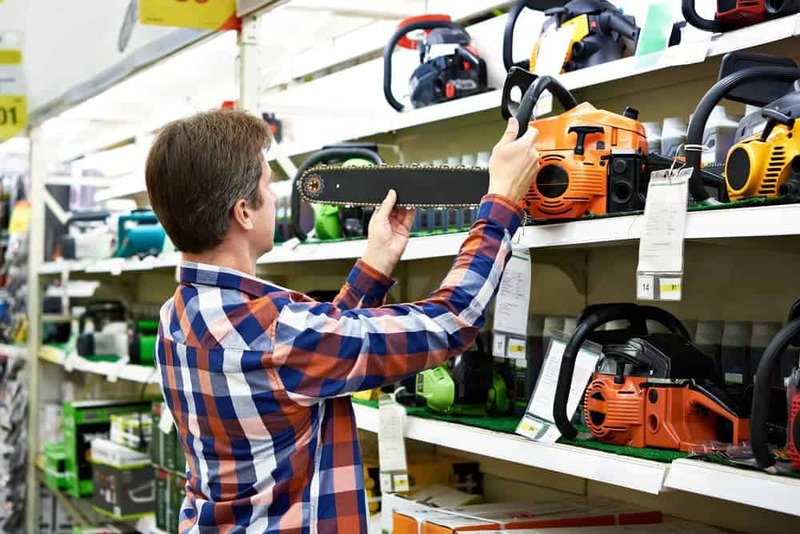 Or do you search for your new chainsaw online at an e-commerce retail giant like Amazon? 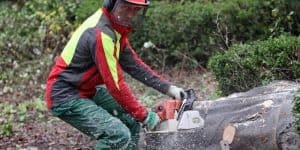 There are pros and cons to each of these options, and we’ll be addressing those in this article in an effort to help you figure out the best option for chainsaw shopping that’s right for your individual needs. Let’s get right into it. 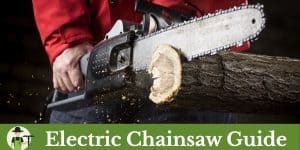 Perhaps one of the easiest ways to go about buying a new chainsaw is to simply hop into your car, drive to a well-known retail chain like Home Depot, speak to an associate in their power tools department, and walk out with a brand new chainsaw, just like that. Sounds easy enough, right? It is indeed an incredibly convenient manner of shopping for a chainsaw. They make it easy enough to walk in and walk out, new chainsaw in hand. The price ranges on varying models tend to remain quite similar between all of the big stores as well, meaning you’re generally free to shop wherever you prefer. However, consider this for a moment. Often times in these retail stores, the associates who are working there merely work there part-time, with the attitude that it’s “just a job.” Now, there are of course exceptions, and every now and then you will receive help from someone who is truly knowledgeable, but more often than not it’s pretty rare. 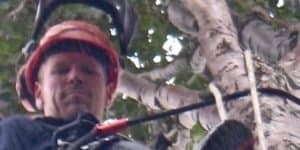 So, with that being said, if you aren’t entirely sure what exactly it is you need for your own specific situation when shopping for a chainsaw, can you really trust someone who’s only there for a paycheck to truly have your best interests in mind? Or will they simply point you towards the aisle where the chainsaws are and leave you to it? So, while it’s incredibly convenient to simply drive to your nearest Wal-Mart, it also comes with the risk of receiving help from somebody who genuinely knows next to nothing about chainsaws. That being said, it leads perfectly into our next option. You can generally find a small, locally owned hardware store in pretty much every major city around the world. 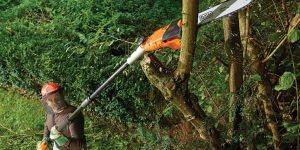 Often times, they are relatively niche, with some of them solely specializing in power tools while others provide a more rounded selection with fewer options for each item. The main benefit of these smaller shops is that the owners and employees generally know their stuff. You simply have to walk in, give them a bit of information on what you’re looking for and why you need it, and they can point you in the right direction. 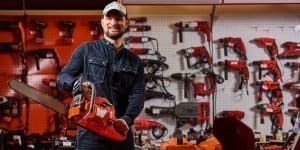 If you manage to find a store that specializes solely in chainsaws, they should offer a wide range of brand names (Craftsman, Stihl, etc. ), giving you plenty of options to choose from. There’s honestly very few downsides to buying a new chainsaw from one of these shops, as again, the owners are generally quite knowledgeable and can steer you to a purchase that’s just right for you. However, while these small locally owned stores are generally found in every city, there are indeed exceptions. So, what do you do if you don’t have access to a store like this for whatever reason? That leads us into our third and final recommended option for buying a chainsaw. When it comes to online e-commerce retailers, there’s one name that reigns supreme. Everybody knows about Amazon, and most people use it on a regular basis. And for good reason too, as it provides unmatched convenience when it comes to shopping. Everything you could want is one click away, and can oftentimes be delivered right to your door within a day or two. And of course, that convenience extends to chainsaws as well. Thanks to the internet, it’s incredibly easy to learn just about anything that you could hope to know. 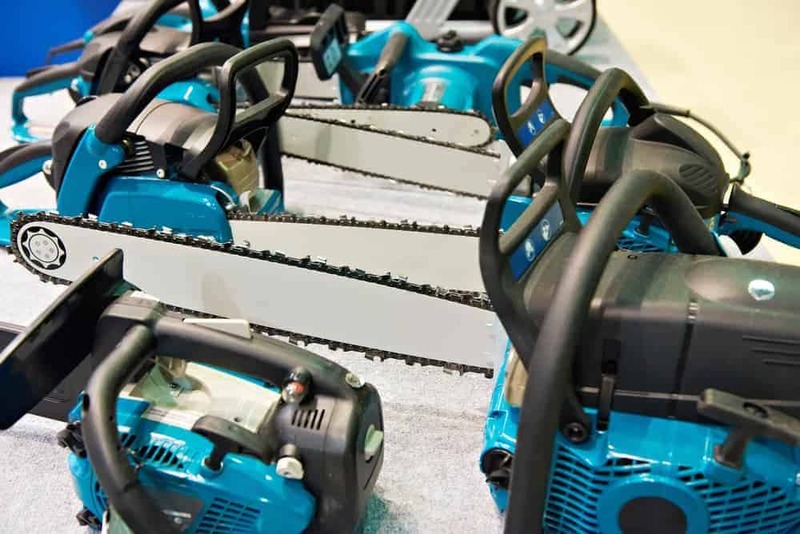 Need to get a chainsaw but you aren’t quite sure what to look for? Type your question into Google (or check out some of the informational articles here) and you’ll have a wealth of information at your fingertips. 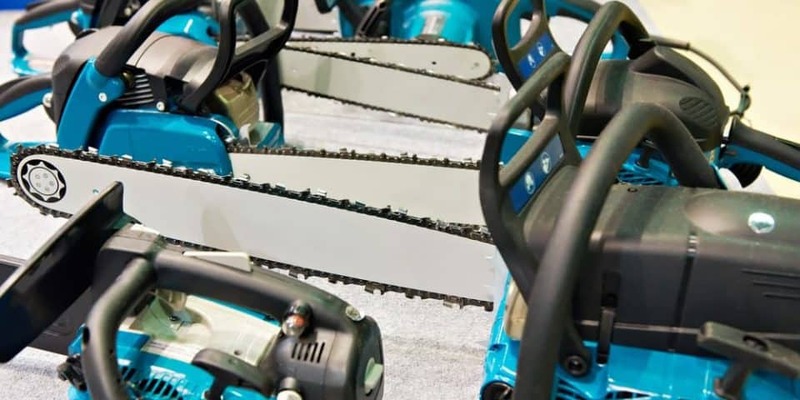 You can sort through chainsaw reviews, recommendations, and find the right chainsaw for specific requirements in a manner of seconds. And best of all, online retailers like Amazon have a huge selection of models to choose from. 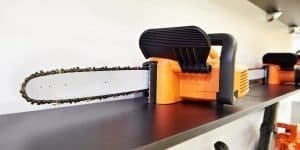 You can easily research exactly what you need in a chainsaw, find it on Amazon, see reviews right there from verified buyers, order it and have it delivered to your house within two days. The whole process can end up taking you no longer than five minutes! 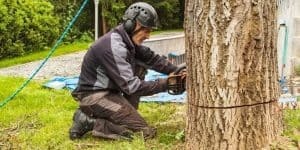 All in all, shopping for a new chainsaw from Amazon ends up being our top recommendation provided you are willing to spend a few minutes researching which chainsaw is right for your individual needs. Amazon gives you unparalleled shopping convenience when it’s time to buy. 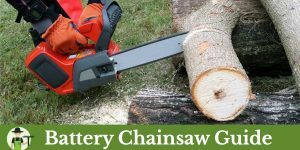 Whenever you’re ready to get started, you can head on over to their main chainsaw page right here and browse all of their top chainsaw models on one convenient page. 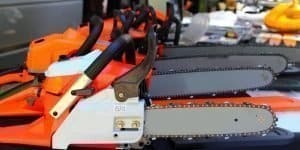 They are sorted by best-selling, most popular, new release—everything you need to know to give you a head start when it comes to choosing the right chainsaw for you.